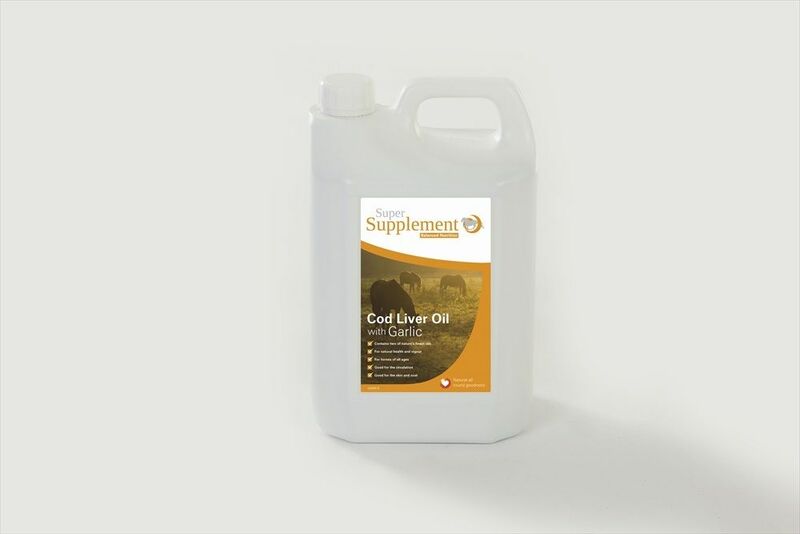 Precisely blending two high quality fine 100% natural oils to create an effective, tried and tested product, Super Supplement Cod Liver Oil with Garlic uses only the best natural ingredients known to promote general equine wellbeing. Trusted in the horse industry for its reliable results, Cod Liver Oil and Garlic work in harmony to encourage renewed vitality and vigour, even in the most veteran of horses. Highly recommended for regular use. Below are some recent questions we've received regarding Super Supplement Cod Liver Oil With Garlic for Horses, including answers from our team. Hi there, can I feed this suppliment to my mare? She has a foal at foot and lactating and in foal due April next year. We regard this as a good supplement for horses. The vitamin and omega 3 oils it contains are certainly useful. It is safe and appropriate to give to your pregnant and lactating mare.